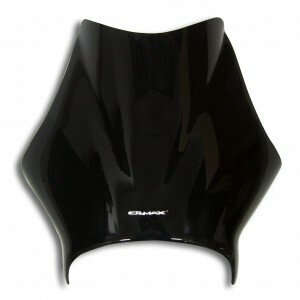 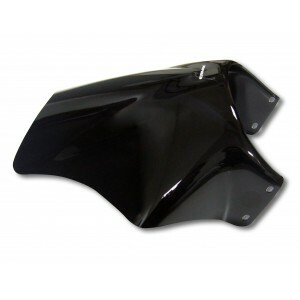 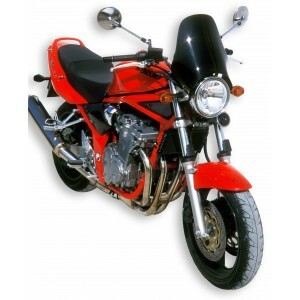 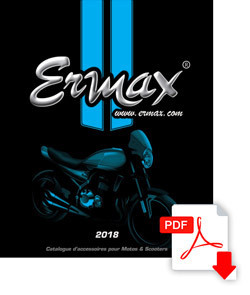 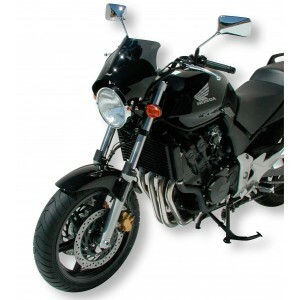 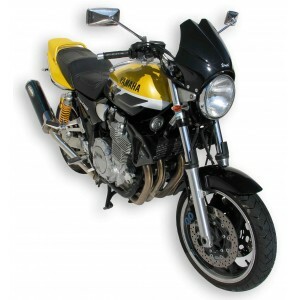 A few models of universal nose screens for personalizing the look of your motorcycle and improve your protection. 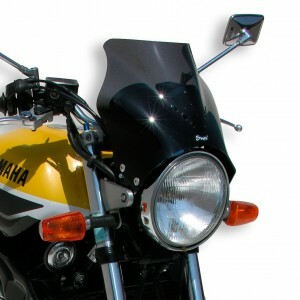 A range of nose screens between 20 and 30 cm, being fitted with little steel brackets at the level of the head light. 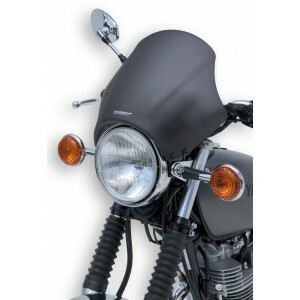 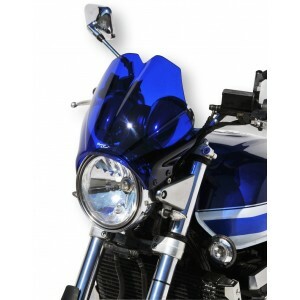 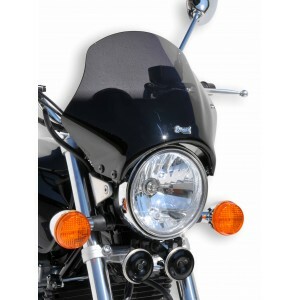 Accessories adaptable on a lot of roadsters with round front headlight of Honda, Yamaha, Kawasaki, Suzuki, BMW, Triumph and others brands.